The Charge 3 comes with all the goodies that we know and love about Fitbit. A heart rate monitor for measurement not only during workouts but throughout the day, sleep tracking that both records your sleep as well as tracking the different phases; and of course step measurement and the automatic recording of certain activities. I’ve worked my way through a fair amount of Fitbit units and have always found them reliable. They track correctly, and although sometime convoluted, the app works as it should. You still don’t get a colour screen, but at least the unit is waterproof, so you can go swimming with it. The Charge 3 also allows for notifications such as incoming calls , showing you your SMS or WhatsApp messages (with quick replies), or calendar notifications. 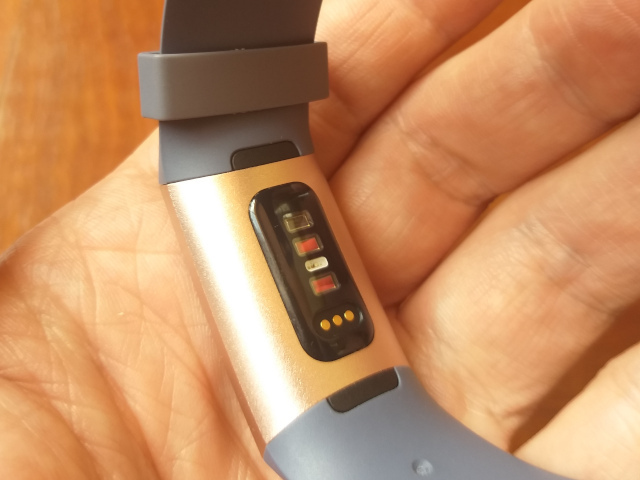 One extra little bit of info - if you want tap and go NFC payment functionality (only for FNB/RMB card holders), then you need to cough up R500 more for the Fitbit Charge 3 Special Edition. All this is wrapped up in a wearable that looks stylish thanks to a textured armband and a smart looking display, with the review model housed in an attractive rose gold. Compared to some of the competition out there, it seems like Fitbit knows their market, paying close attention to design. Having said that, you are paying for the privilege, with R2 500 being the going rate for the Charge 3. It’s a fair bit more than the similar (in certain regards) Huawei Band 2 Pro going for R1 300. In regards to differences between the Charge 3 and thinner Fitbit Alta HR, oth contain sleep and heart rate tracking, but the Charge 3 performs a bit better if you’re doing exercise due the connected GPS feature and a large clock face that shows some of your stats during exercise. My suggestion would be to go to the shop and actually try on both before making the choice, remembering that you’re going to bed with these too, so comfort is of primary importance. What about the upgrade from the Charge 2 to the Charge 3? If you want waterproofness and a better OLED touchscreen, the Charge 3 is your man. But, why no built-in GPS in the Charge 3, since it seems like the next big step? Especially since the Charge 3 does not offer much more than Charge 2, or the Fitbit Versa smartwatch, which I actually found more comfortable to wear. For one it would have impacted the battery life which at this this stage stands at a very good six days before needing a charge. As well, the Charge 3 is regrettably not a great wearable to go running with, and I struggled trying to scroll through all the options out on the road (also missing a couple of starts, since although you press Start on the watch, there’s a second screen it switches to when it’s trying to connect with the GPS off your phone, hence not starting when it should). Fitbit still hasn’t sorted out a few niggles. Why does it not allow the screen to stay off when it can tell you are sleeping, instead of brightening up the room as soon as you move your arm? (Other smartbands contain Do not disturb settings). It also feels that even though Fitbit records all this data, it’s very difficult to see what it all means. Take for example the sleeping records. It’s certainly interesting to see your sleeping stages stats, but what value does it hold to know this? Am I getting decent quality sleep? It’s only when you click on the ‘Benchmark’ tab that Fitbit shows your stats compared to other people your age. But are those averages good or bad? Who knows. If you are into serious exercise, it becomes increasingly difficult to recommend Fitbit’s wearables. 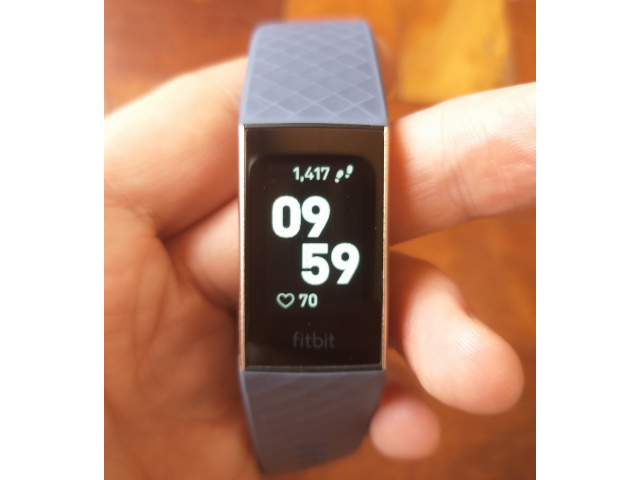 It’s one aspect where Fitbit falls short compared to serious fitness focussed brands such as Garmin, and it shows up in the little things. For example, GPS-assisted runs do not display the recorded time on the main exercise stats screen on the app, while you have to continuously scroll to get to your VO2 Max (and it doesn’t keep record of it over time). Brands such as Garmin and Polar are also incorporating smartwatch functionality in their wearables, and ultimately perform much more to standard if you’re serious about a fitness routine. At the end of the day the Charge 3 performs as well as all the other Fitbits. 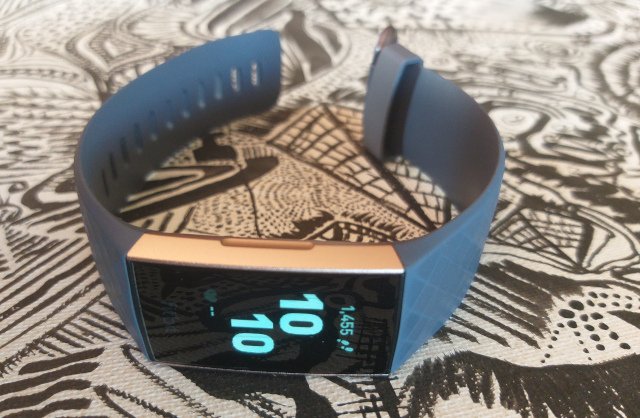 It’s stylish and tracks the important stuff, but ultimately fails to excite. It retails for R2500 from most electronic or sport stores.